We haven’t seen many to date, though you should expect Amazon’s Alexa to be built into a whole bunch of speakers here in the near future. Amazon wants you to be able to control things, yeah, but the end goal is for you to have access to Amazon with your voice no matter which electronics maker you prefer. 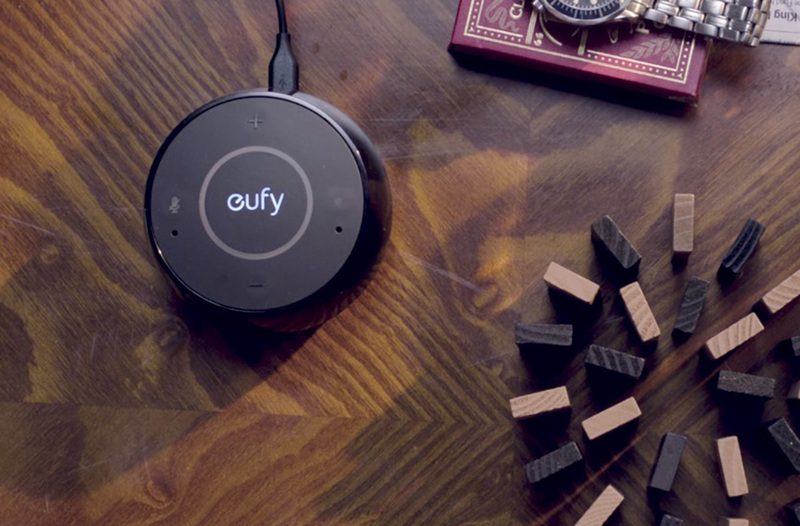 Enter companies like Eufy (they are a part of Anker) and their Genie smart speaker that are powered by Alexa. That’s right, the Eufy Genie has Alexa built-in and isn’t made by Amazon. Today, you can grab the Eufy Genie for just $29.70 as a part of Amazon’s daily deals. The unit is supposed to retail for around $60, so that’s a pretty decent discount. It’s also much cheaper than an Amazon Echo Dot ($50 a pop for those) and features a very similar set of tech. You can fire up Eufy Genie with the “Alexa” keyword, control smart home products, play music, pair the Amazon Alexa app and its thousands of skills, and even utilize Alexa’s newly-gained messaging and calling feature. Additionally, if you buy a Eufy Genie, Amazon will hand you three free months of Amazon Music Unlimited.